Friday, the Columbia Scholastic Press Association announced its 2018 Gold and Silver Crown Award recipients. 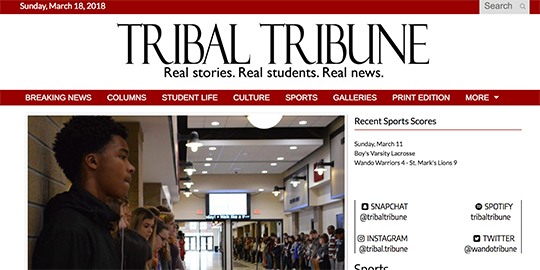 Websites were honored in the Digital News and Hybrid categories. You can view the honorees on the CSPA website here: 2018 CSPA Gold and Silver Crown Winners. The NSPA Online Pacemaker winners will be announced in April at the JEA/NSPA Spring Convention in San Francisco. You can see this year’s Pacemaker finalists here: 2018 NSPA Online Pacemaker Finalists.